4 years ago (!!) 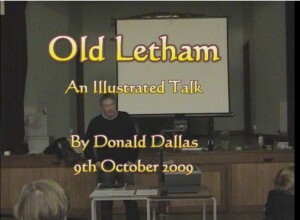 Local Celebrity and pillar of the community Donald Dallas delivered a talk on the History of Letham. That talk is now available in 4 episodes on this page.